If you have an older cat with increased appetite, but also with weight loss then they likely have hyperthyroidism. This is a very common cat disease, primarily affecting middle aged to older cats. In this article I will explain what hyperthyroidism is, going over the most common signs and causes. I will then cover your options for treatment, including the most effective natural solutions. This is a disease that occurs only in cats. Your cat will usually be over the age of 10. She will have an increased appetite, but will be losing weight. Her coat will be sparse. She may be urinating more often. She will have evidence of muscle loss. You may be able to feel an enlarged thyroid gland beside her Adam’s apple. Her heart rate will be elevated (greater than 200 beats per minute). In hyperthyroidism, the thyroid gland enlarges and produces an excess of thyroid hormone. This speeds up your cat’s entire metabolism, producing the signs of weight loss, increased appetite, elevated heart rate and often high blood pressure. The disease is diagnosed based on a veterinary exam, and in many instances enlarged thyroid glands can be palpated on either side of your cat’s trachea (windpipe). High heart rate, and elevated blood pressure point towards hyperthyroid disease. A chemistry panel measuring thyroid hormone (T4) can confirm the diagnosis of hyperthyroidism. One of the safest and most effective ways to treat your hyperthyroid cat is with radioactive iodine. Your cat will be given one dose of radioactive Iodine that selectively targets the abnormal thyroid cells. It requires a specialized licensed facility, and can only be performed at a few referral practitioners. Surgery is a potential option, but based on the risks of hypocalcemia, and anesthetic concerns in older cats, it is seldom performed. Most cats are treated with a conventional medication called methimazole, but the medication has drawbacks. First medication must be given at least daily, usually twice a day- and this can be a challenge. 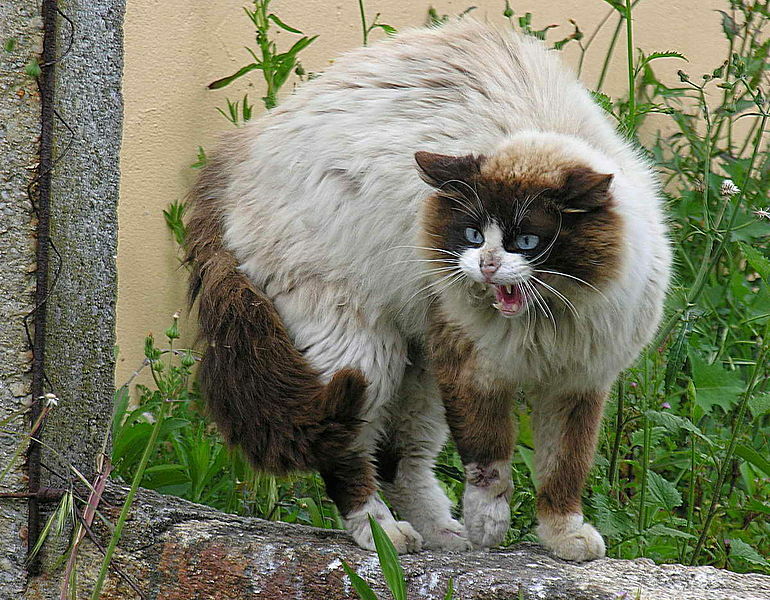 15% of cats have some type of side effect, typically GI ( vomiting, diarrhea, innapetance). Some can have allergic type reactions ( ie facial scratching). A small percent will have serious liver disease, and some can have their bone marrow affected ( this happens in 2-4% of cats on medication). Carnitine is a supplement that has been found to be effective in reversing the signs of hyperthyroid disease in people. The starting cat dose is 250 mg a day. Bugleweed Lycopus europeus) and Melissa (Melissa officinalis). These are two herbs that have been used in combination to combat the effects of hyperthyroid disease. Bugleweed has been shown to decrease thyroid hormone levels in rats 24 hours after administration. The standard dose is 1 drop per lb of body weight of the tinctures given twice daily. Nat Mur is a homeopathic used for thyroid hormone reduction. Alternate practitioners’ favor Nat Mur 30C as the remedy of choice. In fact a clinical trial with this homeopathic gave impressive results, treating the hyperthyroidism in many of the cats. Give 1 tab every 12 hours and assess the response after 30 days. This very common cat disease, hyperthyroidism, has some fairly classic signs of increased appetite, with accompanied weight loss that all cat owners should be aware of. The cause is due to overproduction of thyroid hormone by the thyroid gland, and the diagnosis is fairly simple with a blood test measuring T4. There are 3 primary conventional treatments, but the most common one ( a drug called methimazole), produces side effects in 15% of cats, some very serious. Fortunately there are a few specific holistic options for you to consider, and they have helped many a hyperthyroid cat. Our cat is taking the Methimazole liquid twice daily. I just bought some Carnitine. Is it OK to treat with both? I’m looking into the Nat Mur30c & have the same question. All 3 together? I have not been able to find the Bugleweed & Melissa or even how to make the tincture if I found the herbs. In any case, I do not know what is OK to give in addition to the Methimazole. Any advice much appreciated. dwtjan@sbcglobal.net. THANKS!! I have an 11 year old cat with hyperthyroidism. Because of problems giving pills twice a day the vet felt once a day dosing with 2-1/2 milligrams of tapazole was sufficient. Is that adequate? 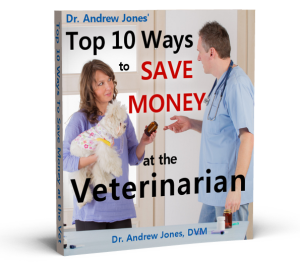 I give it in Greenies Pill Pockets which can be purchased at the vet or PetSmart. Secondly I have been told that surgery to remove one or both thyroid glands is successful contrary to what you say. Can you comment? Thirdly, even though I have heard that radioactive treatment is the best and almost always successful, there is no vet I believe near Vancouver, British Columbia who does it and further for at least 3 months I can have no contact with the litter which is impossible with litter scattering from the litter box and it cannot be disposed of for at least 3 months. I live in an apartment so what do I do with it? Also I have 3 cats. So even if I could get it done how could I deal with the litter? And what about the cost which must be very high for someone who is not wealthy. I would really have appreciated a more thorough article that addressed all these very crucial issues. You say it is a common condition so cat owners like me need thorough practical advice. It is a big worry with vets having differing opinions. Thank you. Janice Chadola. jchadola@telus.net. I have worked with homeopathic remedies for two hyperthryoid cats. Nat Mur was effective for a period with one kitty and eventually she was put on tapezole. For another kitty, she has been on a regimen of the homeopathic remedies thyroidinum and iodium and it has been effective. I’ve deliberately not written the potencies and frequency of dosing because of my concern that the prescription should be for the individual but perhaps you could explore this further with Dr. Jones or perhaps we can discuss this further. I just had my cat diagnosed with Diabetes. He had the same symptoms as hyperthroid. My hyperthyroid cat is 15 years old and I tried the Nat Mur 30c for 30 days. It helped him. What next? Do I continue with the Nat Mur? I did some further research and it seemed that Nat Mur is not intended for long term use, so I am now using Lemon Balm and Bugle Weed tinctures. However, one drop per pound of body weight wasn’t enough and I had to increase it. I also sometimes use Acetyl L-Carnitine which has also helped but it takes 500 mg/day or more in divided doses. I give him Rehmania 8 as well to help protect his kidneys. I feed my kitty some raw beef steak, steamed chicken, scrambled eggs and some regular cat food although I stay away from fish because of the iodine. He does look much better now and his symptoms are not as severe, but I wonder if I can do more. I am on a fixed income which is also a factor in what I can do. His 16 year old mother has oral squamous cell carcinoma for which I am also using alternative natural treatment and I’m primarily doing this by myself with some help from the vet. It’s been a rather rigorous learning experience in trying to educate myself in this type of medicine. It’s been one year now since the cancer was found, and I still have my kitty. Hey, where would one find Melissa and bugleweed for cats? I’ve found supplements online but they all contain additional herbs. My cat’s diabetic, not on insulin, but I give him an herbal supplement called “Si Miao Wan” (for diabetes). So I bought Nat Mur 30c for my cat who is hyperthyroid ,but how do I give it to him if they are suppose stay in the mouth . If he swallows will it still work? My cats thyroid was normal when he was on the drug Methimazole but then he was getting to much of the drug and he got low thyroid. So the holistic vet I go to took him off the Methimazole and made a herbal tonic for him but now his T-4 is over 40 and his heart is racing and I am afraid he is going to have heart failure. So I brought him to the regular vet he sees and she put him back on the drug but a smaller dose and now on Atenoil to slow the heart rate till we get his thyroid back to normal . But I wondered if the herbs in the Tonic could of caused the thyroid T-4 go up. I cant hear from the holistic vet for days because she is out of town. See article linked below re efficacy of 1 dose Nat Mur 200C shown in study of 13 cats. This vet is in Vancouver, B.C. My cat has hyperthyroidism and I put them on the net mur. . Do I stop the medicine the vet gave me?